I can’t express how much the 21 Day Fix & 21 Day Fix Extreme meal plans have been a game changer. They aren’t a “diet,” they’re a guide to living a healthy, portion-controlled lifestyle, with room for indulgences. 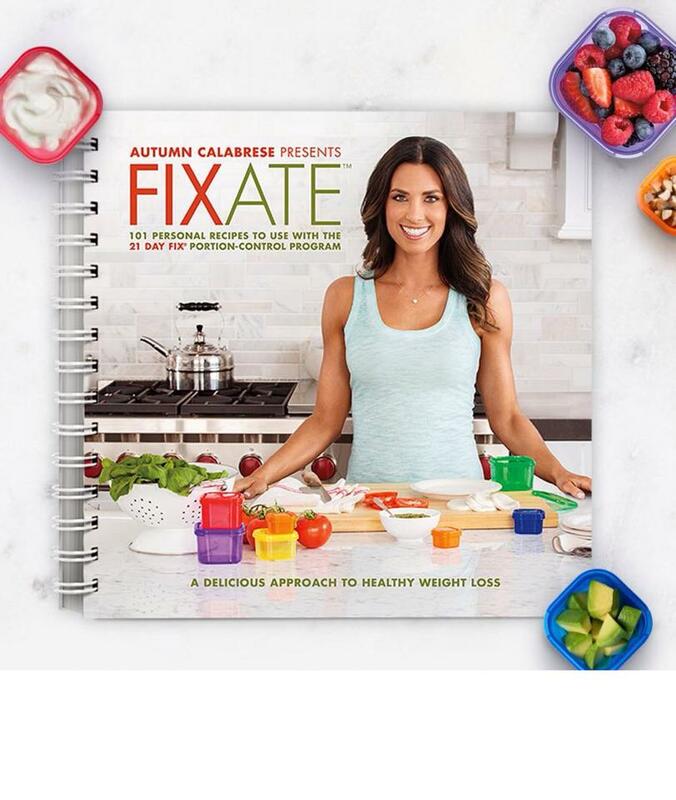 Autumn Calabrese came out with 101 recipes from breakfast, lunch, dinner, soups, salads, dressings, side dishes, snacks, desserts and cocktails. They include Paleo, gluten-free, vegan, and vegetarian recipes. Each recipe labels the amount of containers, so it makes your life even easier. I love that she included a ton of kid-friendly recipes also, perfect for busy moms! Here’s a sneak peek of four Fixate recipes here! Fixate is available today on the shop section of my coach website! If you don’t have containers, you can purchase it with containers also.